This week we are flaunting a cut from the Paper Pups cartridge. 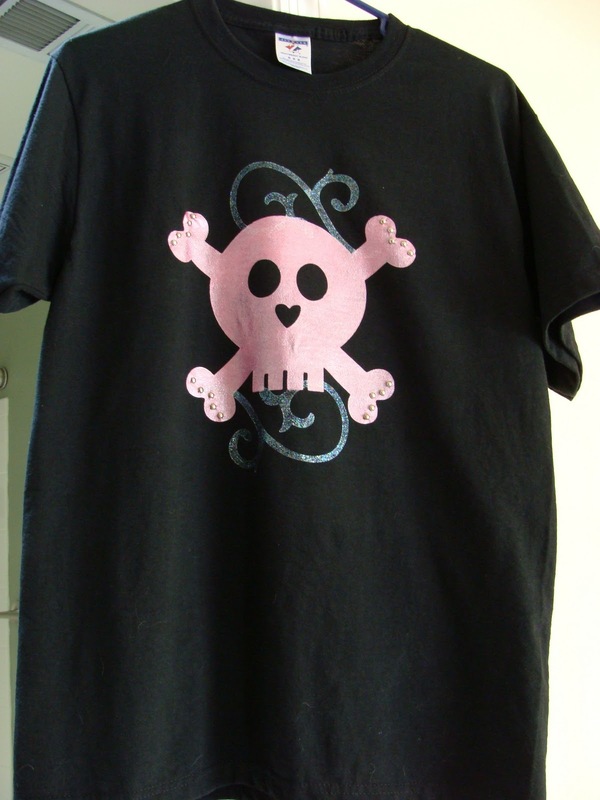 The cut can be found on page 104 with the border function on. 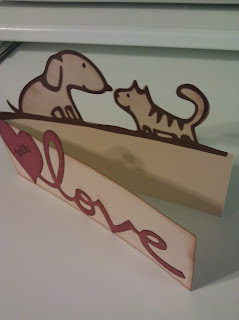 To create this card, I used my Gypsy to hide the interior cuts and then weld the dog and cat to the top of a rectangle. 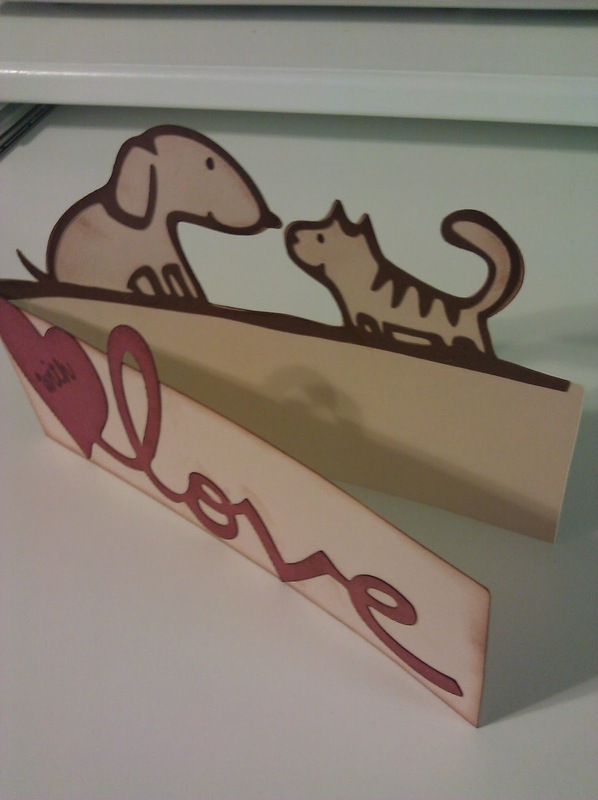 I cut the dog and cat again in the dark brown, with all of the lines visible. I kept the color to a minimum as I wanted to make a non-girlie looking card. Be sure to stop by the Flaunt it Fridays blog to see what the other talented ladies have created and to play along with us on this challenge. This week's Flaunt it Fridays challenge is to use the skull from Mini Monsters in a non-Halloween project. I don't have that cartridge so I used the skull from Life is a Beach. You must leave a comment on everyone's blog to have a chance to win the Grand Prize Giveaway which is the Love Always stamp set sponsored by Pink By Design. The grand prize will be on Sandra's blog! You will have all weekend to complete the hop and we will draw the winner sometime on Monday or Tuesday. Thank You so much for taking the time to hop with us for the Flaunt It Friday's Hello Kitty Blog hop we can't wait to see how you "Flaunt" your Hello Kitty this week at Flaunt it Fridays . Your NEXT STOP is Elsa. I've received a bunch of requests to show the measuring and assembly process, step-by-step, for the modified paper bag mini album. Hope this helps! Come join us for the second Flaunt It Fridays blog hop, this week! This hop will start on January 7 so be sure and stop by at the FIF blog! You won't want to miss this!